Episode 13 of VIVA LA DERBY! is not bad luck at all. 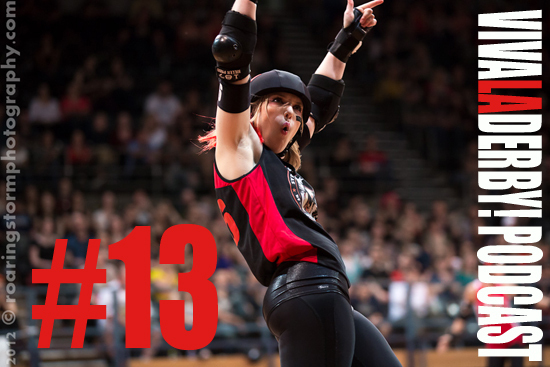 It's chock full of derby goodness as Big Kahuna, De-Nominator and Mic Riot discuss what's been going on in Derby in Australia and NZ. 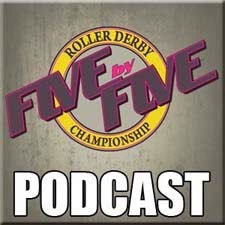 We have a killer interview with WFTDA and TXRG's own Sarah Hipel and an in depth chat with photographer Gunther Hang. Put it in your ears and smile. Gunther Hang is putting on an exhibition of his amazing photos as part of the respected Head-On Photographic Festival. We're also looking for help to get to The Great Southern Slam in June. 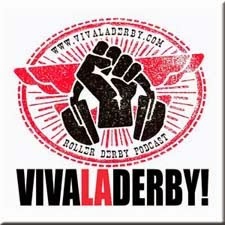 If you would like VIVA LA DERBY! to report all the goings on from Autralia's biggest derby event ever, then head on over to our GoFundMe page and donate @ www.gofundme.com/vivaladerby. 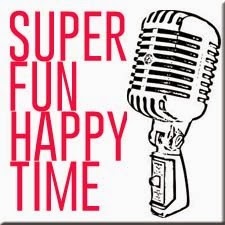 If you donate a minimum of $5 you will receive a yet to be recorded exclusive podcast and a chance to win a pair of Sure-Grip Rebels courtesy of our good friend Wayne from Derby Skates. Help a podcast out. This episodes photo is of Captain Ratz from Sydney Roller Derby League on 21 April 2012 taken by the amazing Captain Shutterspeed aka Kim Lee from Roaringstorm Photography.